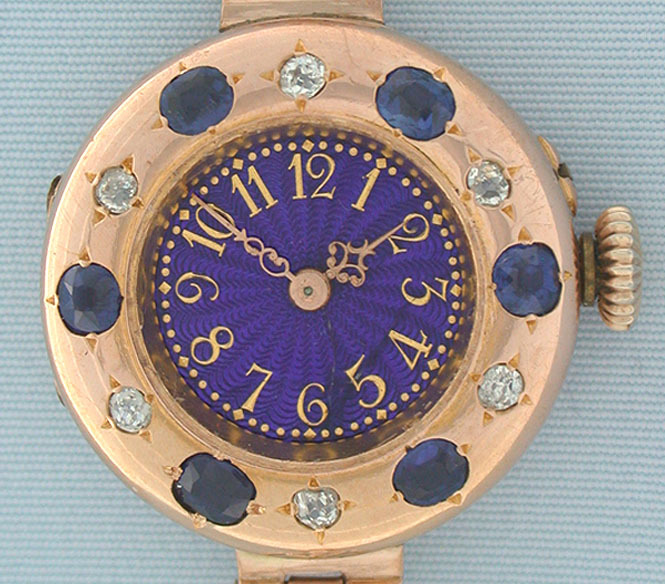 Beautiful cobalt blue enamel dial (hairline) with gold markings and fancy gold hands. 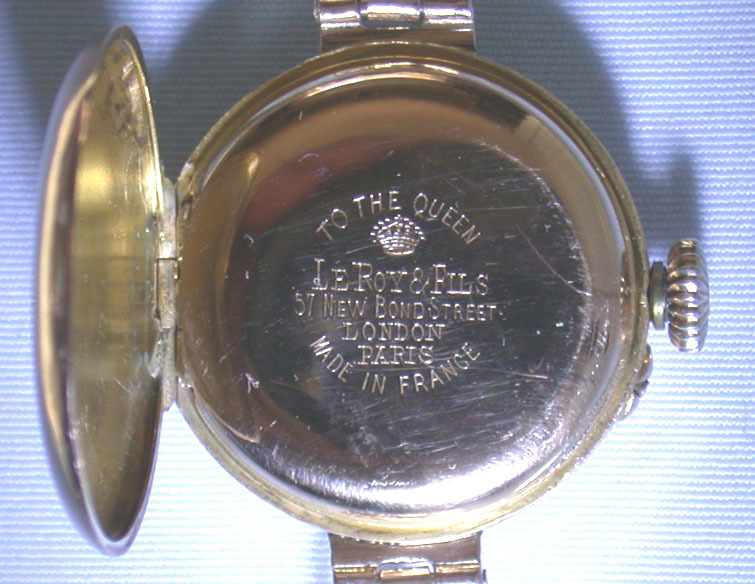 The 18K pink gold case set with alternating diamonds and sapphires (insignificant dings). Fancy 14K yellow gold openwork floral band. 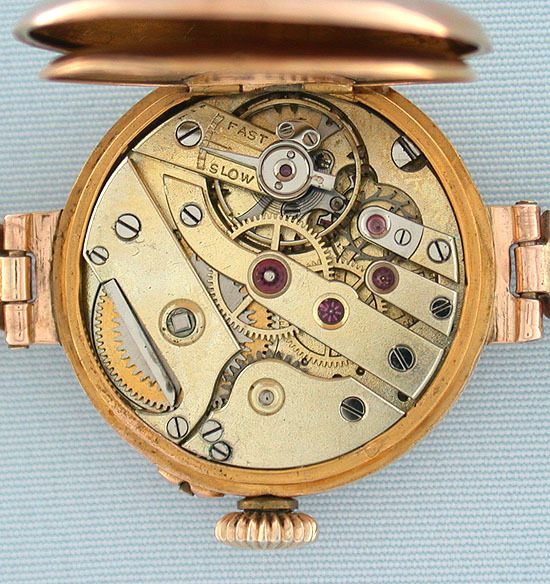 Fine 19 jewel lever movement. Overall length 7.75 inches.